The recently expanded Nakambala Sugar Mill area comprises approximately 28 000 hectares of irrigated sugarcane. 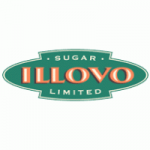 An approximately 17 000 hectares of the planted area is owned by Zambia Sugar Plc. ; and the balance of 11 000 hectares is owned by fourteen commercial Growers and three small-scale grower entities whose affairs are managed by the Estimated Recoverable Crystals (ERC)Committee comprising membership from Zambia Sugar Plc. and the Growers.